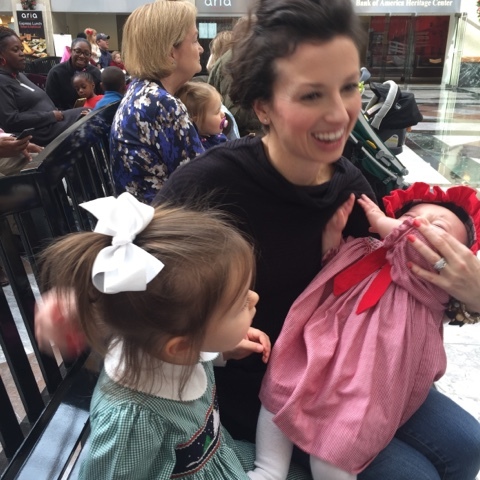 I braved uptown with a girlfriend and our four daughters on Wednesday and it was so awesome. Life-sized gingerbread houses, a singing bear orchestra, Christmas cheer all around. And cute, filtered Instagram photos! Babies love when you smoosh their faces. Get in the pic, kid! 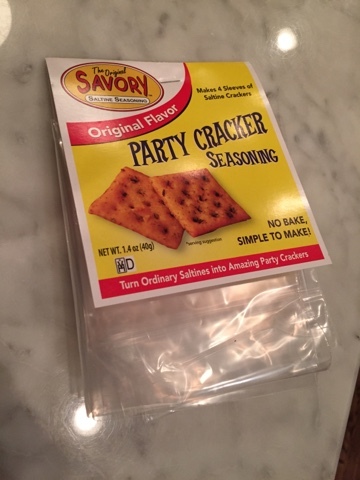 We had Supper Club last week, and my friend Lori had the BEST and most flavorful crackers on her kitchen island. Her secret? This packet of seasoning for Saltine crackers! You can find it HERE on Amazon and she said it is ridiculously easy -- no baking required. I could not stop munching on them! No cheese or dips needed, the crackers were perfect just by themselves. Last Friday evening, we got together with some friends and the older girls did a little gift exchange. We excluded the babies from the exchange and limited the older girls' items to around $10. 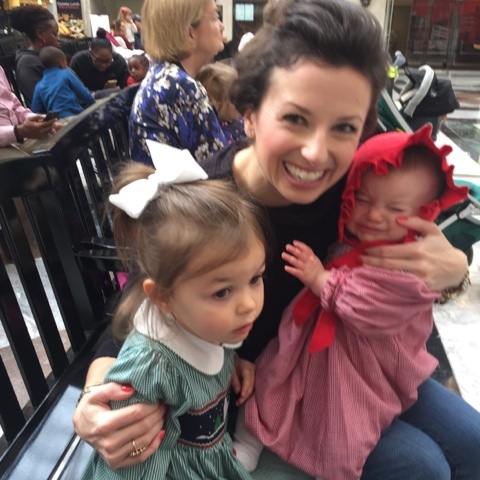 I was so excited about my gift to the girls... 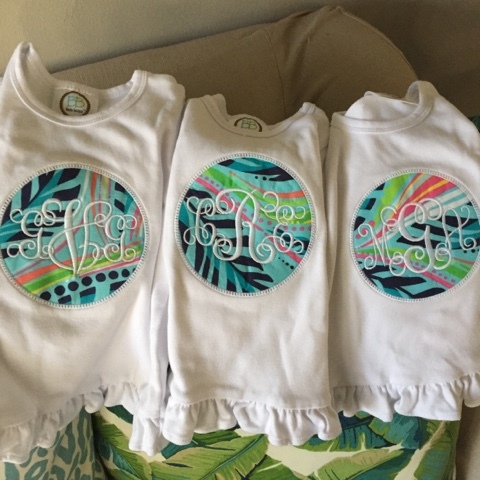 I had these matching long-sleeved tees done by my favorite monogram/applique girl in town! The fabric background is Lilly Pulitzer fabric and (this is the fun part) it was actually made from an unclaimed pair of shorts at the last Junko Bunko that I hosted here! Nobody took the shorts home, so I decided to get creative and use them as fabric because the pattern is just so pretty. My monogram gal just cut circles out of the fabric and monogrammed right over top. 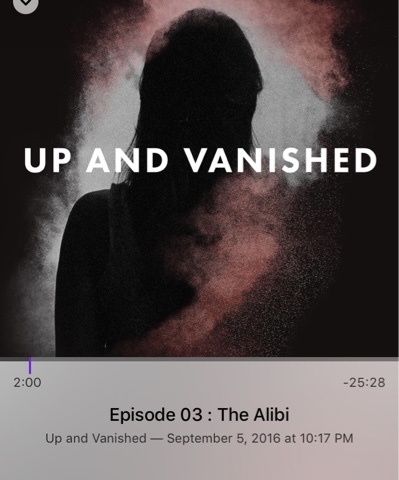 Never thought I'd be a podcast girl, but I've recently listened to all episodes of Making Oprah and Up And Vanished and loved them both. They seriously made me excited to have any solo time in the car just so I could catch up where I left off! Finally, I wanted to share Charlotte's Christmas list! She is eight months now (how?!) and, just like Camille's first Christmas, our wishlist for her is fairly practical. A gift card for music classes, diapers, and the booties that apparently stay on better than ALL other shoes and socks! Yes, please! 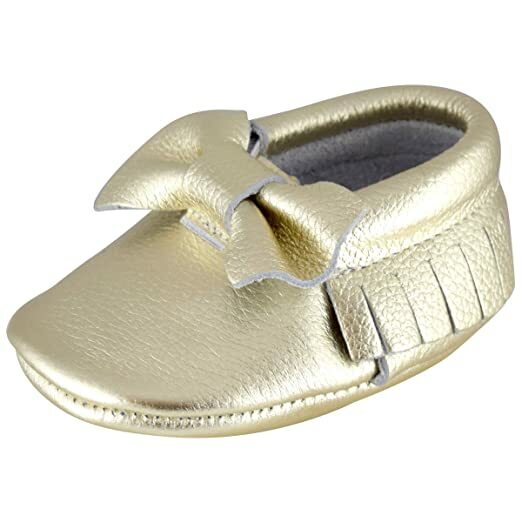 She also needs some metallic moccasins like her big sister used to rock (and subsequently destroyed, thanks to active crawling) and I have my eye on these. Those shirts are the cutest! 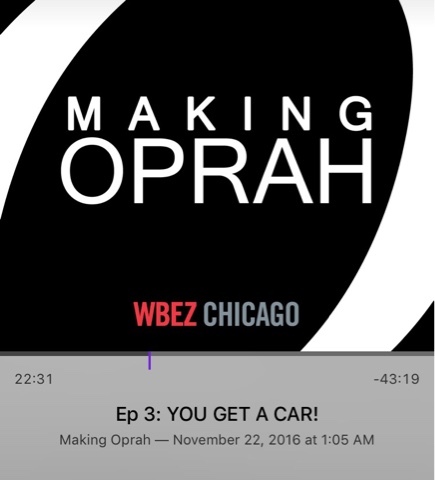 I will definitely have to check out those podcasts. I sometimes listen to podcasts while working out if I get tired of my same old workout playlist! 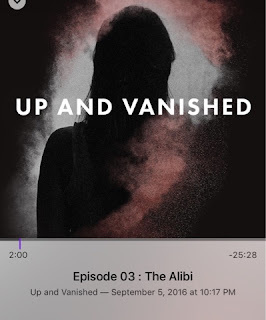 One of the things I was most excited about to return to blogging for was this link up. I was so happy to see you still do them. The Zutano socks are officially going on my registry because I've heard the same thing over and over again. Those zutano booties are the absolute best!! Katherine has a few new pairs on her list as well :). I saw the girls' shirts in one of Beth's posts and thought it was so cute. We use the same monogrammer - she's the best (and so fast). What a great idea with the shorts! Have a great weekend! Totally in love with those monogrammed shirts!!! And love the picture of your girls and you!!! 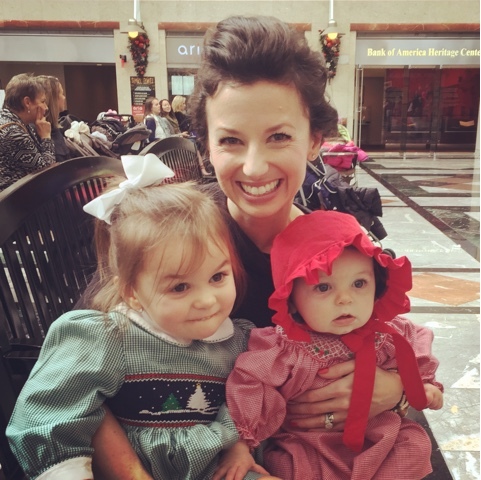 That bonnet on Charlotte is PRECIOUS! We buy all of Caroline's moccs on Amazon and have a pair very, very similar that I love! They run a little big but I did not mind because she has been wearing them for months and still has room to grow! Those shirts turned out beautifully! 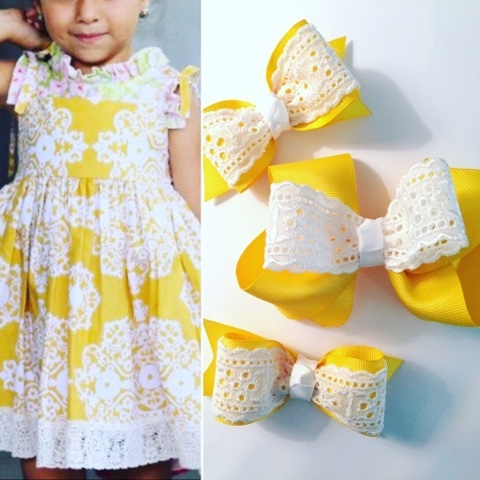 I love Charlotte's gift list too; so useful and still fun!